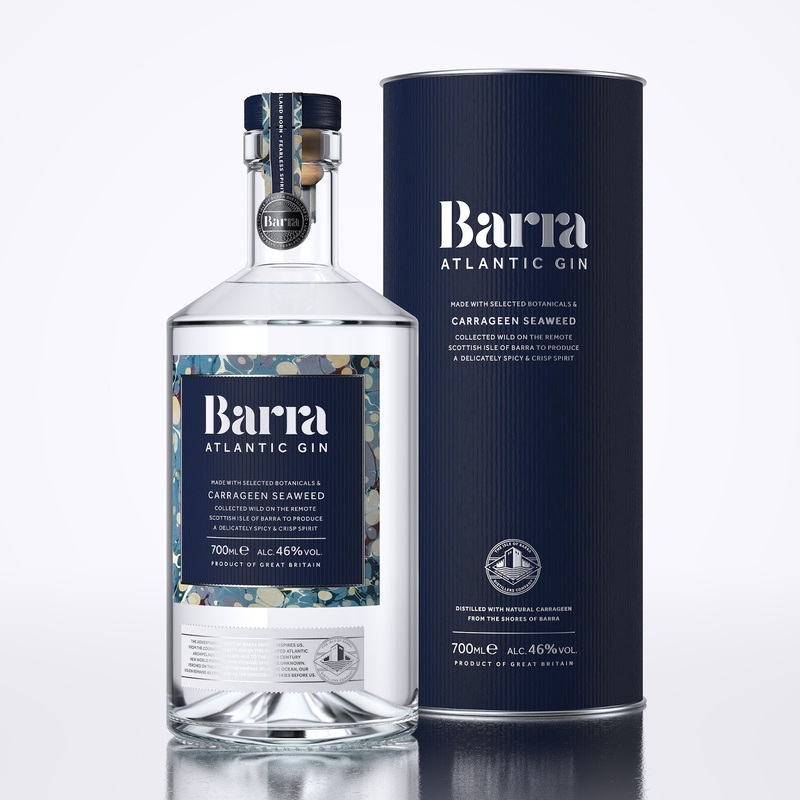 Barra Atlantic Gin is produced by the Isle of Barra Distillers Co. in Scotland. 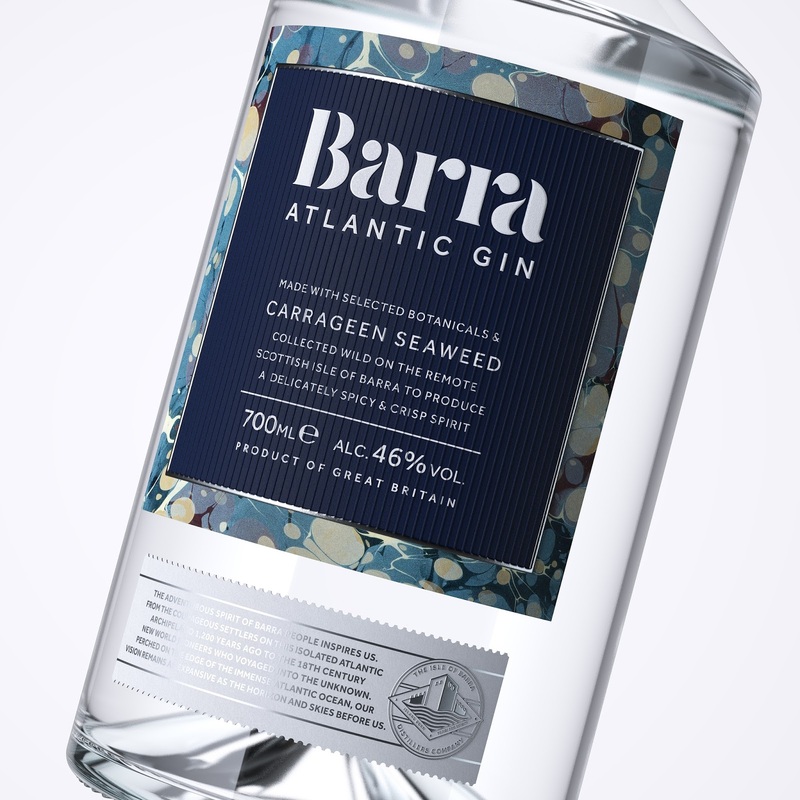 Michael Morrison, a craftsman born and bred on the island, hand-gathers carrageen seaweed as his gin’s key botanical. For a brand so rooted in the perfect blend of ingredients; the local kelp, the people behind the company, their skills and this small archipelago at the heart of it all, it made sense to approach the theme of ‘blends’ literally. D8 commissioned several original patterns from paper marbler Jemma Lewis, taking our colour palette from the Barra landscape and creating patterns to evoke its shores and form a physical link between the product and its packaging. We designed a logotype as fluid as the pattern itself and secondary marks to reflect the product’s premium quality and origins. The positioning, ‘Island Born, Fearless Spirit’ conveys Michael’s home pride and adventurous nature. The bottle marks a global packaging first, showcasing the unprecedented use of GF Smith Colorplan label-ready adhesive stock. 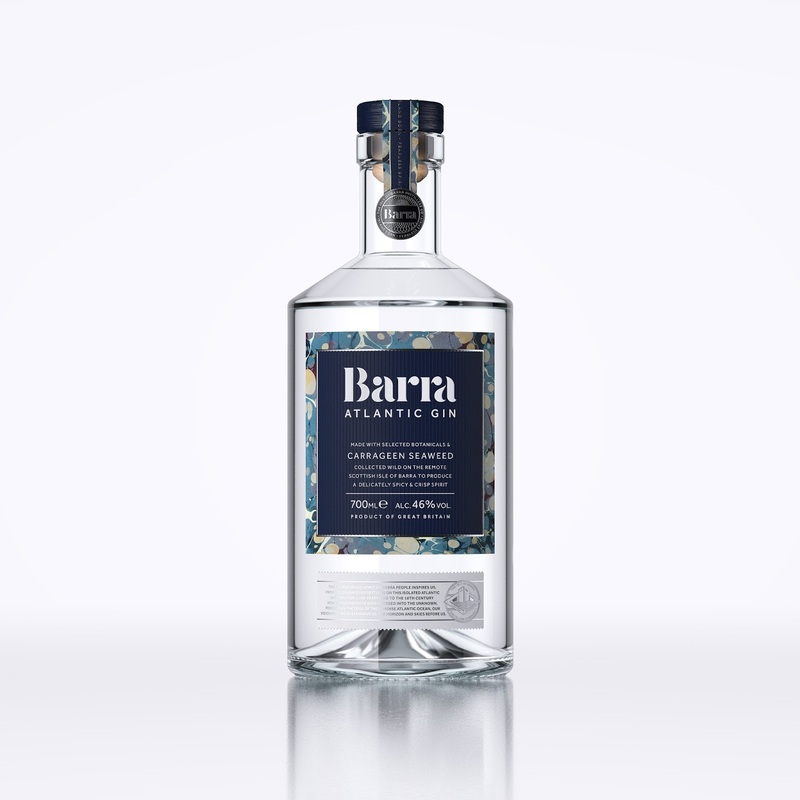 MCC helped give depth to the pattern by printing a silver foil followed by a sequence of semi-opaque whites underneath the marbling that shimmer and give the illusion of depth – like looking into a silvery rock pool on Barra’s shores. 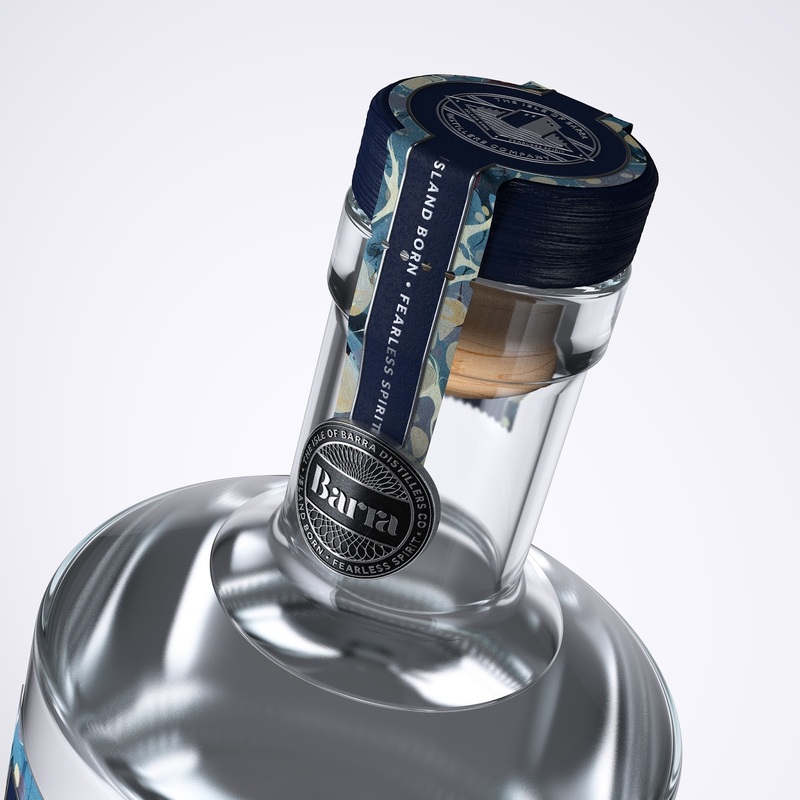 The label blue matches the GF Smith Imperial Blue we use for the outer packaging and a pinstriped emboss matches Colorplan’s ‘Cord’ embossing. Each bottle is wrapped in a tissue stock bearing the marbled pattern. 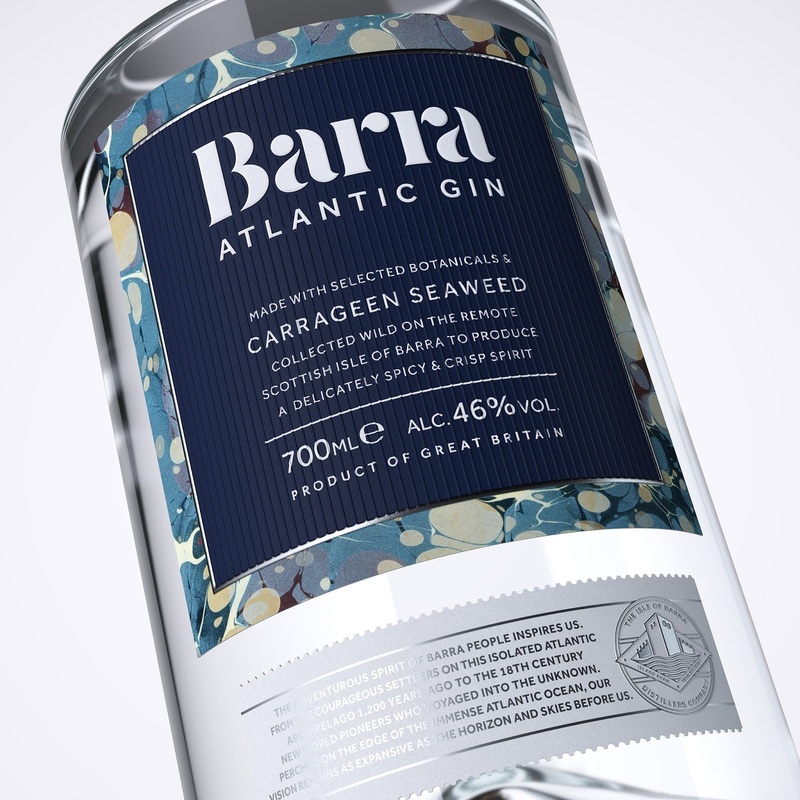 Hand-marbled design, using the same seaweed that is used to make the gin. 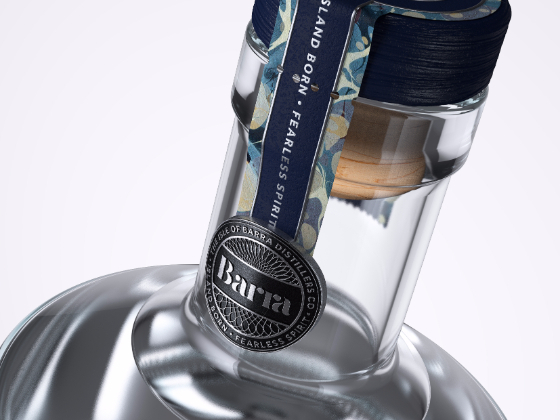 The bottle marks a global packaging first, showcasing the unprecedented use of GF Smith Colorplan label-ready adhesive stock. 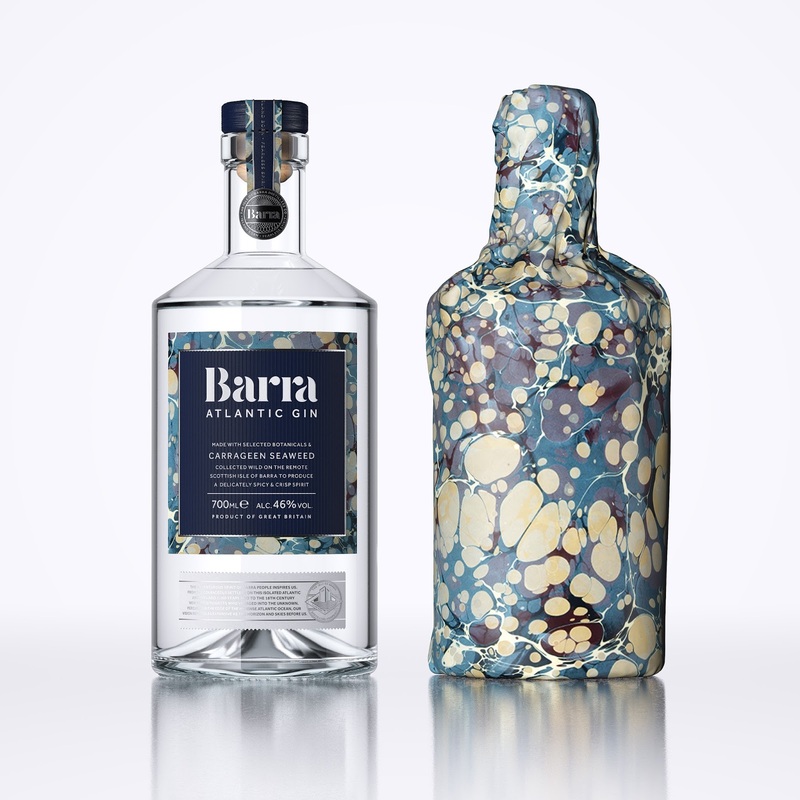 MCC helped give depth to the pattern by printing a silver foil followed by a sequence of semi-opaque whites underneath the marbling that shimmer and give the illusion of depth – like looking into a silvery rock pool on Barra’s shores.